RLI is designed for children with Down syndrome aged from around 5 years with reading ages under 8 years. It is designed for delivery in school, supplementing and supporting regular teaching. Children with Down syndrome aged from 5 years can benefit from the intervention, despite their language and cognitive delays. The reading strand targets foundational reading skills and is suitable for beginning readers (those with little or no reading ability) through to those with word reading ages up to 8 years. For children with word reading ages exceeding 8 years (those who have mastered word reading and phonics), the focus of literacy teaching will be on reading comprehension, spelling and expressing themselves in spoken and written language. The language strand can be adapted for children with a wide range of language skills. 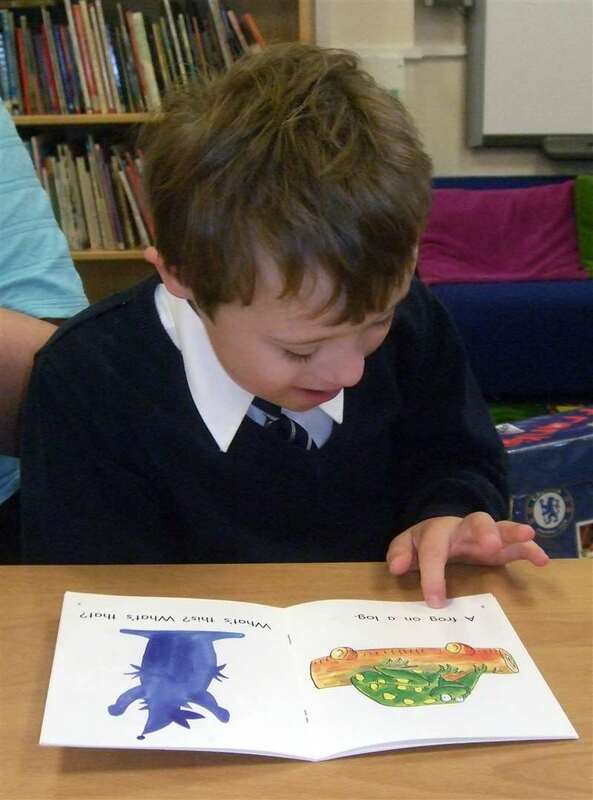 Many children with Down syndrome will be participating fully in a rich range of literacy activities during their first (UK: reception) year at school. Where this is the case, we recommend starting the intervention in their second year (UK: Year 1, US: Kindergarten) when they will be on average aged around 5½ years. Most students with Down syndrome should continue to benefit from the intervention throughout their primary/elementary school years. However, children who achieve a word reading age of 8 years should discontinue the reading strand and move on to more appropriate activities targeting reading comprehension. Will some children not benefit? Some children did not make as much progress as others when receiving the intervention. In general, those who had better language skills, were younger (5-6 years) and attended more intervention sessions made more progress. However, some older children, some children with poorer language skills at the start and some children who attended fewer sessions did make good progress. It is not possible to predict if an individual child will make little or no progress on any single or multiple measures if taught using the intervention, based on the data collected in the evaluation study. The only way to find out if the intervention will help an individual child is to try it for a sustained period of time.